Properties of Transformer Oil. Modern technologies allow to make quality transformer oil from any crude oil. However, not all types of oil can retain its properties for long, and degradation of the product may begin from the very first day of its use in a transformer. Different types of oil age at different rates. Therefore it is recommended to evaluate oil and determine their usefulness based on properties and oxidation stability instead of chemical composition and origin. The original properties of crude oil should be taken into consideration for refining and regeneration of used oil products or injection of additives. 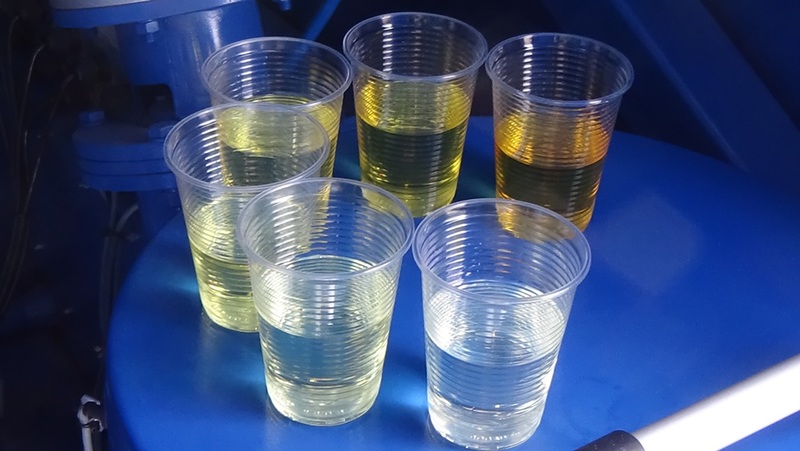 Transformer oil is a complex mix, which is what differentiates it from other dielectrics. The properties of this mix change all the time, so to evaluate the product, more criteria is needed than for simpler materials. All properties of the oil may be divided into three groups. The main physical and chemical parameters of the oil are flashpoint, settling point, viscosity, specific gravity, alkali test, resin content etc. They are defined mostly by the origin of the oil and in general cannot or are very difficult to improve. There are also several characteristics which are also very important, but they change when oil is used and can therefore be used to evaluate oil aging and the amount of contaminants in the oil: ash content and color. The properties which define the stability and aging of new oil are acid number, water extract reaction, artificial oxidation stability, as well as some electrical parameters, such as dissipation factor. Parameters which demonstrate oil purity are mostly electrical in nature, of which the most important is dielectric strength. These also include presence of particulate matter and water.